A suspected suicide blast kills at least 31 people in Domodedovo airport on January 24, 2011 at 13:32 GMT. Top investigative agency of Russia confirmed the blast and said there were fatalities. The blast is said to be occurred in baggage Check-in Area of the airport. Police have increased the security measures in the important places in the capital city. 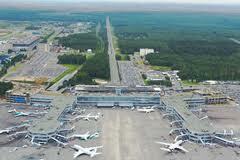 Moscow Domodedovo Airport is an international airport located 42 Kilometers south-southeast of the centre of Moscow. It is also one of the three major airports in the city. Domodedovo Airport handles largest number of Passenger and cargo traffic in Russia. A correspondent of a local news agency reported lot of smoke was noticed in Baggage claim area and people were seen running to the emergency exits at the airport. Back in March, 29 2010 two female suicide bombers killed 40 people during the morning rush hours in two metro stations in Moscow. Aftermath of the bombings resulted in 17% decrease in the number of daily commuters in the next day.